The University of Udine, together with The International Centre of Mechanical Sciences, are holding a seminar on October 24-25 in Udine, Italy that aims to provide a framework to introduce Forensic Image Analysis particularly to law students, but is also open to students from other disciples, including PhD students, young researchers, and professionals from the legal and public security fields. The courses will be held during two days, divided into three sections: general, legal, IT. 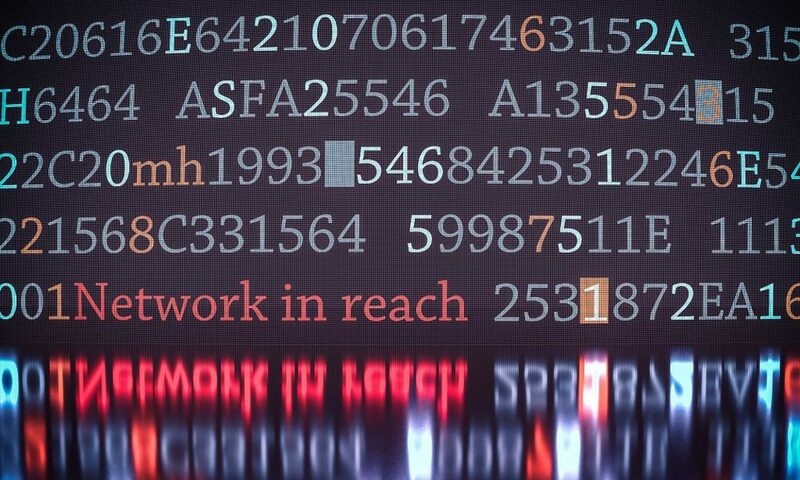 The general section provides a broad overview of forensic image analysis. The legal section focuses on the aspects of images and videos in a workplace environment, the issues concerning the protection of intellectual property and the circulation of protected material, and their use in court with reference to the civil law. In the IT section, students will be introduced to technologies that are used for the acquisition and analysis of images and videos. The course aims to provide students with theoretical knowledge and also practical skills. For this reason, a session is scheduled to take place in the computer lab, on Thursday, October 25, with Martino Jerian, Amped Software CEO and Founder, who will teach students how to analyze images and videos with Amped Software products. For the full agenda click here. This entry was posted in Events on October 23, 2018 by Darlene Alvar. 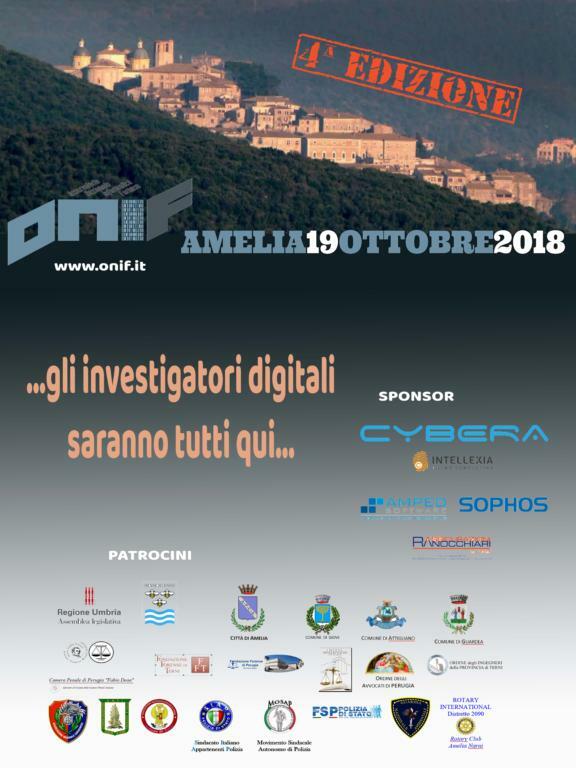 On Friday, October 19, Amped will be attending the ONIF (The Italian National Observatory for Computer Forensics ) annual conference in Amelia, Italy. Join Marco Fontani, R&D Engineer at Amped Software, for his presentation entitled “Enhancement and Authentication of Digital Images and Video” to learn how Amped products assist in the analysis of image and video evidence for investigations. ONIF is the Italian National Observatory of Computer Forensics, created by a pool of professionals in the field of digital and computer forensics. Its main goal is to promote the role of the ‘digital forensic expert witness’ as the subject that is capable of implementing existing best practices for the identification, acquisition, and analysis of digital evidence. This entry was posted in Announcements, Events on October 16, 2018 by Darlene Alvar. Some of the new simplicities afforded to us can, unfortunately, cloud ones’ judgement when dealing with images and video for legal use. Technology has, in most parts, made things incredibly easy. Take the example of photographs and video. We all now love to quickly snap a memory or record some footage of an event. We can adjust the colour or light, crop out unwanted parts, or trim the end of a video. It’s then a simple click on the share button to immediately have that sent to friends or family via a messaging app or social media. Some of the new simplicities afforded to us can, unfortunately, cloud ones’ judgement when dealing with images and video for legal use. Why do it one way, when it’s so much easier to do it another, perhaps quicker way? In late 2016, at the conclusion of a trial in Nottingham Crown Court, for four men involved in the murder of Aqib Mazhar, Judge Rafferty stated, “there must never be another case in this country where those analysing CCTV don’t have the best equipment.” The quote stems from the fact that it wasn’t until the trial had started that video material was properly reviewed and that significantly changed the weight of the evidence. 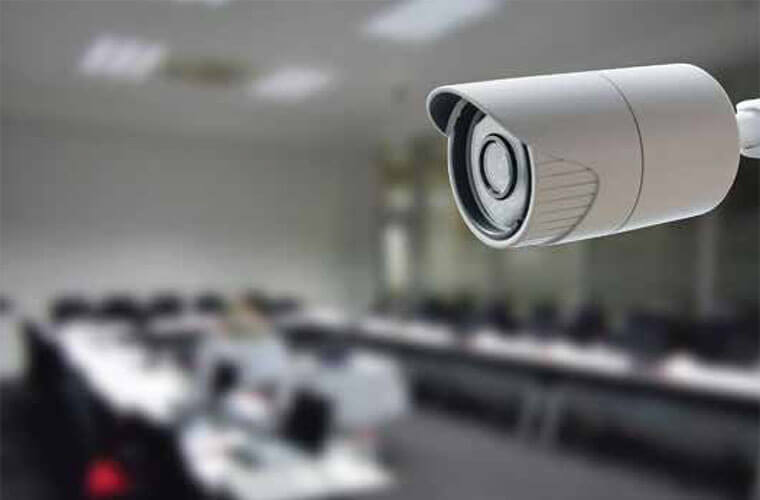 Whether it is CCTV evidence, mobile phone video or a sequence of images, the software used to review that evidence can alter the viewer’s interpretation. It could be that the player drops or misses frames. The player could present the video too dark, or too light. The player could change the shape and size of the image or video, resulting in objects appearing smaller or larger. Many surveillance system players alter the image to make it look better, even though that is not what was originally recorded – scary, but true. In 2015, a conviction of Indecent Assault was overturned at the Court of Appeal. Mr Mohammed Islam was earlier convicted at Flintshire Magistrates Court, where a CCTV image of a vehicle, alleged to be his, was used as evidence. After analysis and enhancement, it was proved not to be his vehicle and his conviction quashed. Mr Islam’s lawyer, Adam Antoszkiw, later stated the crucial evidence was not properly examined because of financial constraints. Multimedia evidence, especially CCTV or low-quality mobile phone footage must be handled with care. This entry was posted in Announcements, CCTV/DVR formats, DVRConv, FIVE, Press / Media on October 9, 2018 by Darlene Alvar. Video evidence, whether it is from CCTV, a mobile phone, or a body-worn camera, can be extremely valuable in establishing facts. Amped FIVE has become the standard software for Forensic Image and Video Enhancement. David Spreadborough, Amped Software’s International Trainer, will show how video labs and CCTV units can expedite their workflow by utilizing this single application for an entire case. Finally, he will highlight some of the challenges faced by first responders and detectives when initially dealing with the evidence. Don’t miss this Amped Software session entitled “Video – Everyone’s favorite evidence” on October 11 from 11:45 – 12:45, and more, at this year’s Digital Experience Event from October 9 – 11 in Van der Valk Hotel Utrecht, Netherlands, organized by our partner Data Expert. This two-day event will feature Digital Forensics, Crime Analysis, and Training, exclusively for the crime combatting community from the Netherlands. This entry was posted in Announcements, Events on October 5, 2018 by Darlene Alvar. Come out to the Treviso Forensic seminar to learn from Amped’s CEO, Martino Jerian, on how to analyze, enhance and authenticate images and videos during investigations. Amped will present during the Digital Forensic “e-crime” session on September 27 from 16:10-18:00 in Sala Doge. Treviso Forensic 2018 is the second technical seminar on Forensic Engineering, following the success of the first edition held in September 2016, which saw the participation of more than 600 professionals. The event is scheduled from 26th to 28th of September, 2018 in the stunning location of Villa Braida, Mogliano Veneto, Treviso. Treviso Forensic is a technical meeting both for professionals who want to learn the basics of the discipline as well as for professionals with vast experience in the field, who want to learn more about the advances of Forensic Engineering. This entry was posted in Announcements, Events on September 26, 2018 by Darlene Alvar. Thank you to all the users who spent the day with us in beautiful Bled, Slovenia on Friday, September 21. We learned a lot from you, and hope you learned from us too! And we hope you also had some fun — we sure did! A special thank you goes to our users Mario Ruiz Mateos from the Criminalistic Service – Spanish Guardia Civil, and Tomislav Prijanovič from the National Forensic Laboratory, Slovenia for sharing their interesting cases with us. Visit Amped Software at Booth 1002 at the Modern Day Marine event from September 25-27 at MCB Quantico, Virginia, USA. 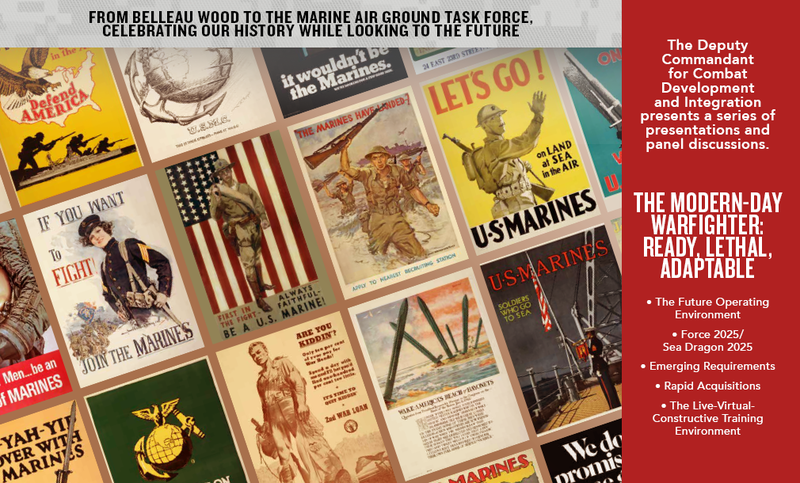 Modern Day Marine is co-sponsored by Marine Corps Base, Quantico, the Exposition’s home base. MCB Quantico, home to the Combat Development Command and the Marine Corps Systems Command, is responsible for setting requirements, developing equipment and systems and purchasing the equipment and systems that the Marine Corps will rely on in the years to come. These vital and unique functions play a large part in positioning Modern Day Marine as the premier military equipment, systems, services and technology exposition. There will be 300+ companies, product demonstrations and industry briefings covering the latest in emerging military equipment, vehicles, technology and training systems. This entry was posted in Announcements, Events on September 24, 2018 by Darlene Alvar. Our autumn road trip continues as Team Amped travels to the FT-Day (Forensic Technology Day) event held in Karlsruhe, Germany from September 25-26. This event, organized by MH Service GmbH, provides an opportunity for experts, investigators, companies and government agencies to meet and discuss trends, developments, and challenges within the IT-forensic industry. Team Amped is getting all packed and ready to go to Bled, Slovenia for our first ever Amped User Day event! 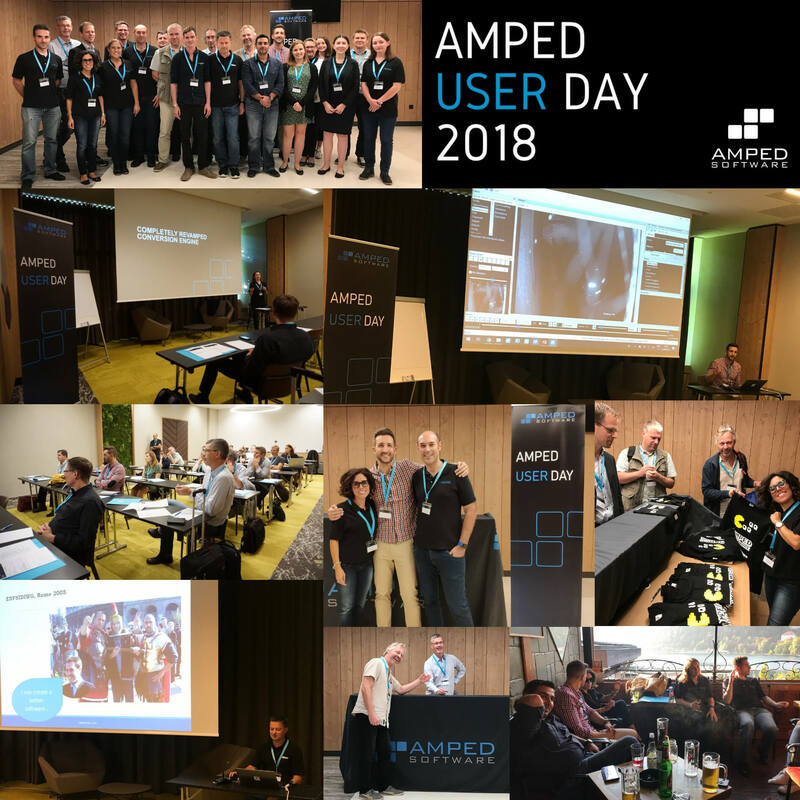 On Friday, September 21, Amped users will meet the team behind the Amped Software products, exchange ideas, ask questions, discuss product improvements and meet other expert Amped users from around the world. If you have not registered yet, and just happen to be in the area, contact us to see if we have some last-minute seats available for you. We are so Amped up to see you! This entry was posted in Announcements, Events on September 18, 2018 by Darlene Alvar. Together with our partner Omni Integer we are participating in the Homeland Security (HLS) Indonesia event from 19-20 September at the Jakarta Convention Center. This is an exciting new conference and exhibition covering the full spectrum of homeland security and law enforcement. HLS Indonesia 2018 is projected to attract at least 60 leading exhibitors plus 3000 trade visitors, offering an unparalleled trade and networking platform for the industry to meet officials from the nation’s key security, police, and paramilitary agencies and address their challenges and requirements. Stop by Booth 312 to see what’s new with Amped Software! This entry was posted in Announcements, Events on September 17, 2018 by Darlene Alvar.